Anantha Padmanabhan is offering deep discounts and giving freebies to attract customers to his gold bangle festival in southern India, but he is still struggling to sell in a region where monsoon rains were up to a third below normal. Two straight years of drought in India - for only the fourth time in over a century - have hit gold demand in the world's No.2 consumer and could cut imports by up to 10 percent in 2015, said Padmanabhan, head of a regional gold federation. Nearly two-thirds of India's gold demand comes from rural areas where jewellery is a traditional store of wealth for millions who have no access to the formal banking system. 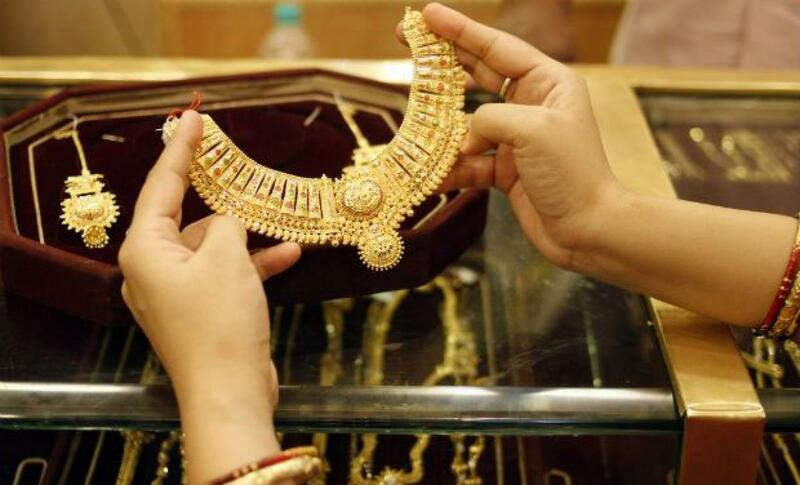 The planned launch of a sovereign gold bond that seeks to wean investors away from physical gold would further dent consumption, said Keyur Shah, head of precious metals at retailer Muthoot Pappachan. Imports this year would have fallen well below 2014's 891.5 tonnes but for weak world prices that are expected to still lure many price-conscious Indians into buying in the October-November peak wedding season, said Padmanabhan and fellow jeweller Nitin Khandelwal from rural Maharashtra. "We started this bangle festival last year to do something different, and it was a big success," said Padmanabhan, southern region head of the All India Gems and Jewellery Trade Federation. "But it's very slow this year because of the chain reaction of weak rains. It's going to be very tough." Sales at his three stores in Tamil Nadu state are down a quarter and southern India's sales would drop to 80-85 percent of last year's levels, he said, although other parts of the country could show some resilience. As well as jewellery, some farmers also invest in gold bars or coins. But K.B. Jadeja, a cotton grower in Gujarat, where rains have been 32 percent below average in some areas, said he and his fellow farmers were not looking to buy any gold this year. "Only half of my 200 acres is irrigated," Jadeja said by phone as he travelled to buy a water pump for the other half. "We're spending so much on diesel and other things to pump up water. In any case, I like to buy land instead of volatile gold." The other threat to gold imports is India's move to mobilise idle metal stored in households. A government official said banks could pay higher-than-expected interest of 2.5 percent on gold deposited in the scheme. The deposited gold would be auctioned, used to replenish the central bank's reserves or be lent to jewellers, and could cut imports by 20 tonnes annually.